It is finished by the weaving machine with different sewing methods. Material: 100% high tensile polyester (PES) Single ply or double ply. The working load can be distinguished easily by the colour and the width. 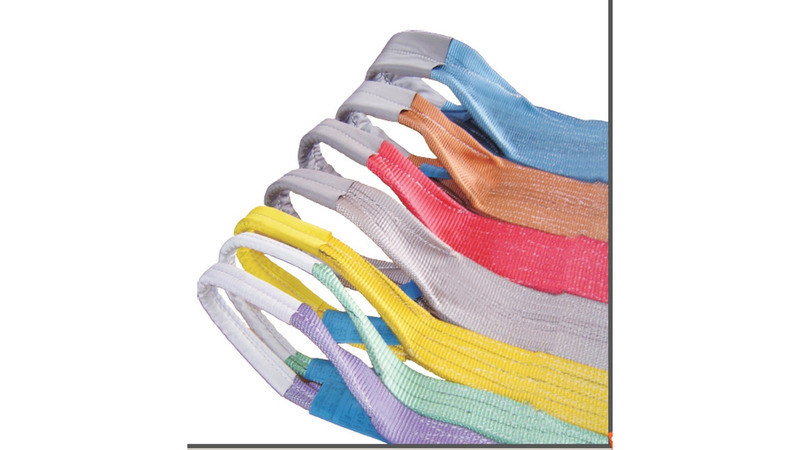 It is colour coded according to DIN-EN1492-1, also it has capacity stripes on the sling(each stripe is equal to 1 ton capacity). It can offer wide and smooth load surface to the lifted object. It has high protection against the abrasion and damage. To avoid being damaged by the sharp objects, it can also be used together with proper protective sleeve. Safety factor :4:1,5:1, 6:1,7:1,8:1 is available. Temperature: -40°C to 100°C Manufactured according to EC directive 98/37/EC.